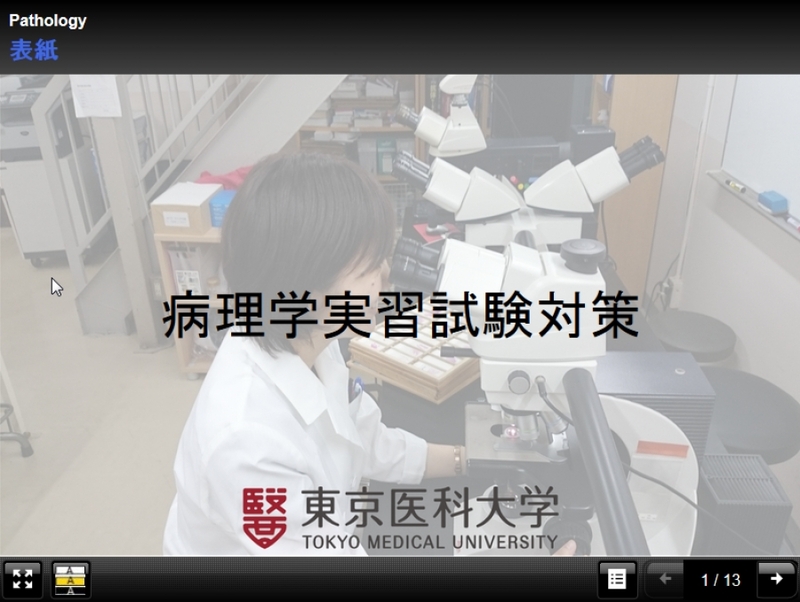 This LO is one of two products of a 3-week group-based independent study project at Tokyo Medical University, Japan. Four 3rd-year medical students were given the task of producing two LOs and evaluating their effectiveness.A member of the medical education faculty acted as facilitator, and a member of the pathology faculty served as subject matter advisor. The LO was designed to be an effective tool to help other 3rd-year medical students study for part of the subject matter of their pathology exam. The students reported increased engagement and satisfaction through their experience creating the LO, and a deeper understanding of the subject matter than they usually achieve in regular courses, suggesting the usefulness of authoring "as" learning. A questionnaire survey showed that the LO was well received by both students and faculty as an effective resource "for" learning. How this LO add value for my learners? : This LO was generated by two medical students “as” and “for” learning. The process of authoring e-learning content constitutes a high level of active learning (authoring “as” learning), while the resulting LO created from the students' perspective is a shareable and reusable resource for use by other students (authoring “for” learning).